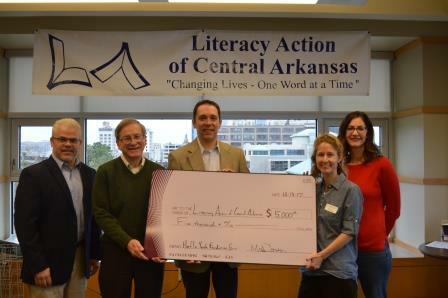 In 2018, Literacy Action of Central Arkansas will start its pilot family literacy program, Project LIFT (Literacy Inspiring Family Transformation). We are excited to be among the first recipients for a grant of $5,000 from the Heflin Youth Foundation! Thank you for helping Literacy Action provide support to families through Project LIFT.